Although it has always been in walking distance we'd never tried the Plough Hotel before it was recently renovated, we'd never heard much positive or negative about it, and the mirrored windows never gave off that inviting a vibe. 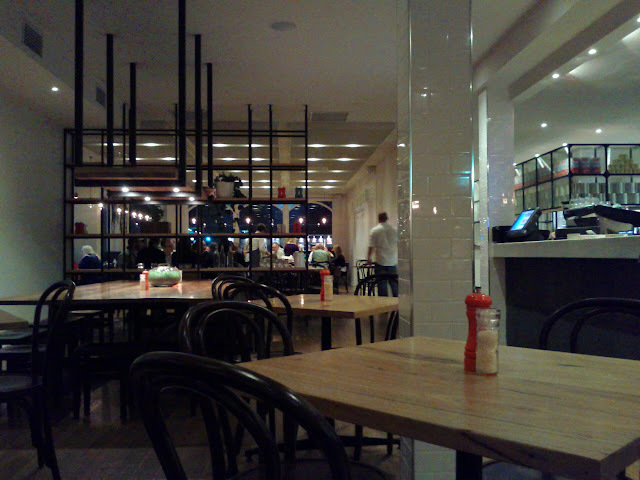 There haven't been too many changes outside, inside however things are looking very modern and sleek, we sat in the slightly more casual bistro area, the restaurant is further fro the door, behind the shelving/screen. The bar takes up a chunk of the room, with plenty of bottles, mostly from Victoria behind it, as well some local beers on tap. 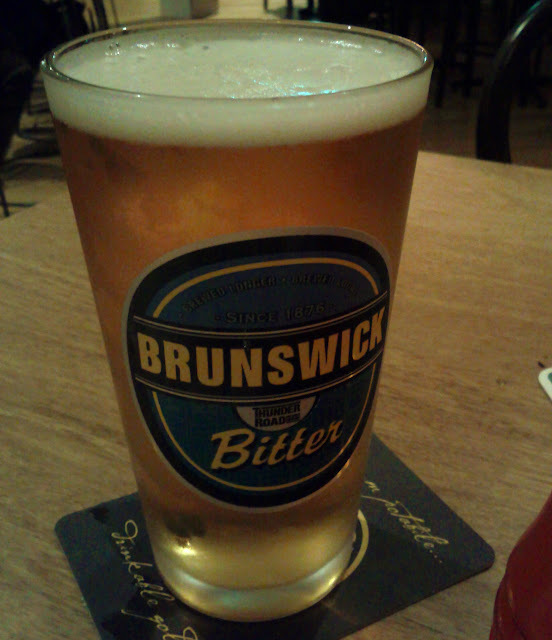 I tried the Brunswick Bitter by the Thunder Road brewery which was a more flavoursome 'house' beer than most and reasonably priced at $6 for 330ml, there were several other beers and ciders from smaller producers around the state also on offer on tap or bottled. 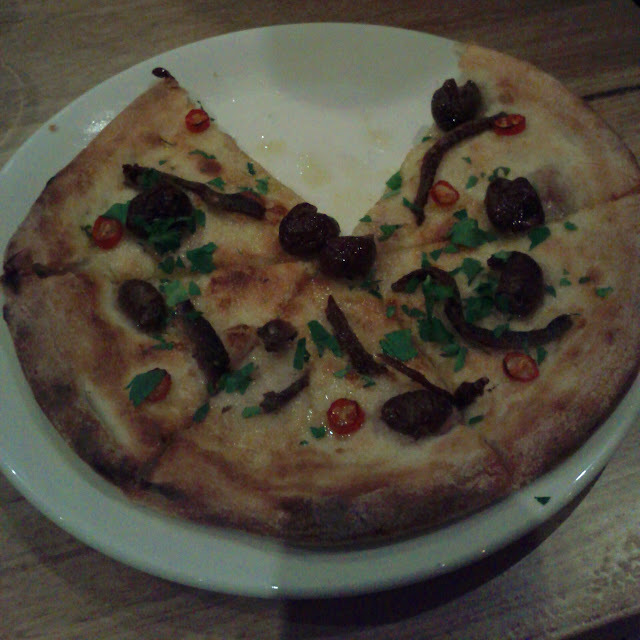 We shared the olive, anchovy, chilli & parsley foccacia as an entrée. The toppings were great quality and sat on top of well prepared bread. 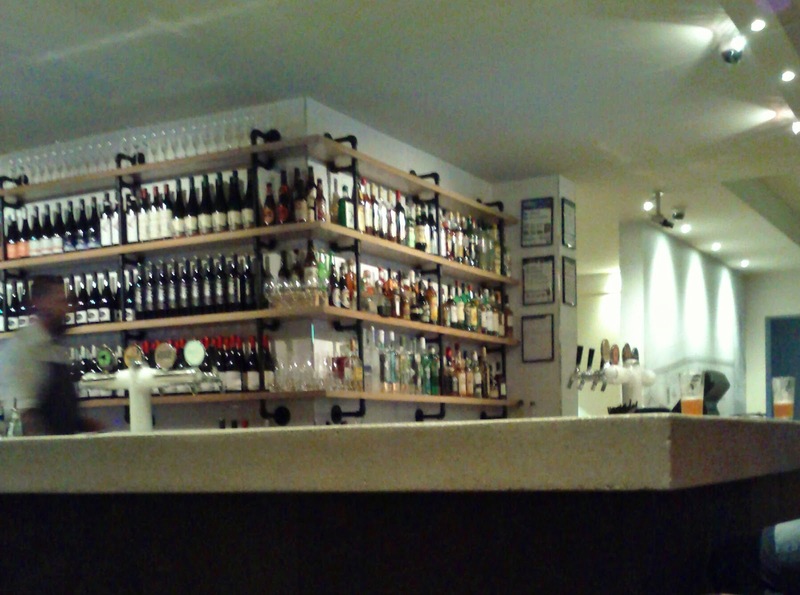 The menu features plenty of pub classics, often with a little twist, plenty of steaks and a range of pizza's. 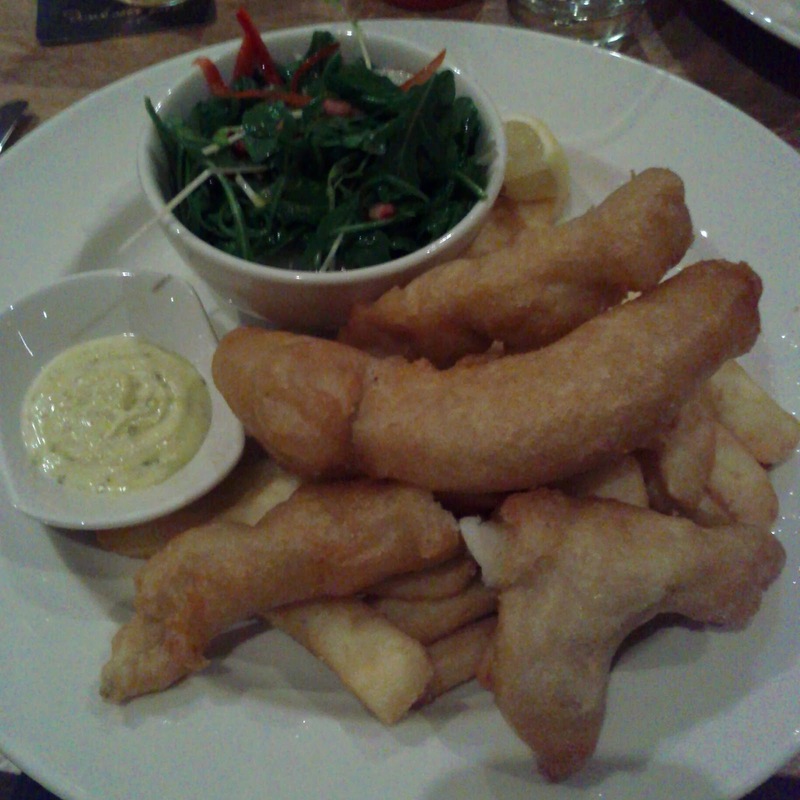 I had the the Fish ‘n’ chips featuring three moist flathead fillets in crispy local beer batter good chips, salad and tartare sauce. 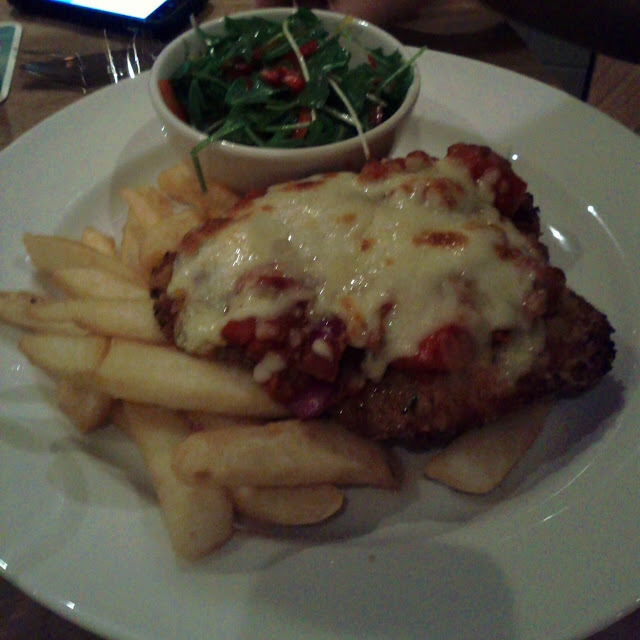 The Plough Parmigiana was big but ridiculously huge and had fresh tasting chunky tomato salsa, along with the gypsy ham and mozzarella on top and came with the similar chips n salad. 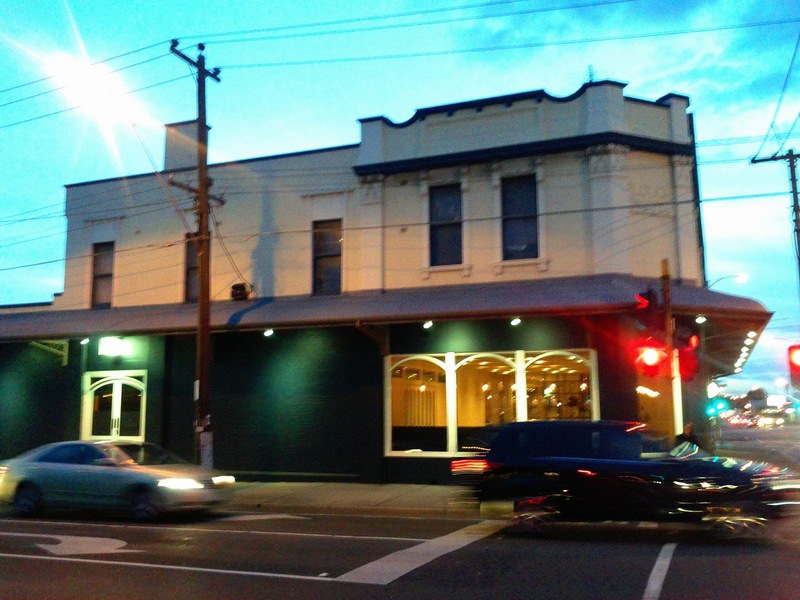 It's great to see that another of Footscray's pubs has been preserved and compliments the other two that have survived the apartment conversion trend that seems to sweep all before it! It's not quite as fine dining as The Station, or as grungy, funky and interesting as the Reverence, but the emphasis on great local produce, stylish fit out, good service and competitive pricing means I hope it does well. It was certainly pretty busy on the Wednesday evening we visited. Our meal came in around $75 including a few drinks.